Awards are often controversial, especially regarding something as subjective as Art, and Henson’s proposal was not universally received without some protest at the time; but the Citations have endured. It is worth noting that special Citations are sometimes awarded to individuals in recognition of exceptional service to UNIMA-USA. The actual award is an impressive certificate created by the late designer and puppeteer, Brad Williams, which is imprinted with the name of the producer and title of the production being cited. Specifics about the process and criteria can be found on the Citations section of the UNIMA-USA website, but essentially the Chair of the Citations Committee retains an anonymous panel of experts who may cite a show for an award. Review panelists are recommended to the Chair by members of the Board of the organization, but the actual panelists are known only to the Chair, who tracks the votes and has no vote of their own. A production that receives three votes during a span of three years, commencing from the initial vote, is awarded a Citation. Review panelists are encouraged to cite shows “ . . . that touch their audiences deeply; that totally engage, enchant and enthrall. In meeting the criteria for excellent Puppetry, Citation-worthy shows must also stand as prime examples of excellent theatre.” Panelists are also asked to observe the audience reaction to a live performance and support their choices with short quotes regarding a production. These are traditionally read upon presentation of the award and they often offer interesting insight into what moves a panelist to cite a production. Since the inception of the Citations in 1975, the world has changed quite a bit. In the age of the internet and social media, it is important that the awards adjust in order to remain relevant and respond to changes that influence our perceptions. At the same time, UNIMA-USA strives to retain the integrity of the awards, respecting the achievement of all the past recipients by preserving the core criteria. The selection process is validated by the exemplary collection of excellent Puppetry represented by the recipients. UNIMA calls for participants for a free international workshop from September 18-22, 2018 in Charleville-Mézières, France. Led by Alain Lecucq and Narguess Majd, this workshop provides an introduction to paper theater and the opportunity to work with a group of artists to make selected texts from UNIMA's Young Authors Contest come to life. Visit UNIMA's website to learn more about the workshop and how to apply. An English version of the information sheet can be found here. Applications are due August 8, 2018. The Japan Foundation is now accepting project proposals for Performing Arts JAPAN (PAJ) touring and collaboration grants for the 2019 - 2020 fiscal year. This program is designed to provide financial assistance to nonprofit organizations in the U.S. and Canada with an aim to introduce Japanese performing arts to local audiences. Deadline for applications is October 31, 2018. The touring Grants assists with the presentation of Japanese performing arts at multiple locations in the United States and/or Canada, with emphasis on locations outside major metropolitan areas where there is little exposure to Japanese performing arts. The collaboration Grants facilitates the collaboration of Japanese and American/Canadian artists so that they may create a new work through research, residencies, artists' discussions etc. with the potential to develop into a touring project and further an appreciation of Japanese culture when presented to audiences in the United States and Canada. To be eligible for an award, project must be to present Japanese performing arts and/or to conduct performing arts collaboration between Japanese and American/Canadian artists. Grants are awarded only to U.S.-based or Canada-based nonprofit organizations. The proposed project must commence between July 1, 2019 and June 30, 2020. For tours, the project must tour to at least two locations outside New York and Los Angeles. For collaborations, the project must be a new work jointly explored and created by Japanese artists and American/Canadian artists. For information on eligibility, grant coverage, review criteria and the application form, please visit: http://www.jfny.org/arts_and_culture/paj.html. Don't miss the opportunity to submit your proposal for a puppetry project geared towards adults. Interested artists must submit letters of intent by Monday, July 16, 2018. Materials are accepted only via online submission. To learn more about submission materials and the details of the residency, visit The O'Neil's website. The Big Apple will host the 1st International Puppet Fringe Festival (IPFFNYC) August 9-12 at The Clemente Soto Vélez Cultural and Educational Center on the Lower East Side. The festival will feature performances, exhibits, and symposiums. Ticket and VIP access passes are on sale now. For more information, please visit www.puppetfringenyc.com or call 212 529-1545 for more information! Festival Producer Manuel Moran, who served as President of UNIMA-USA in 2016 and 2017 and who continues to serve as a Vice President of UNIMA International, is the moving force behind the event that adds to the puppet "must-do" calendar for summer of 2018 (along with the Puppeteers of America regional festivals: Pacific Northwest in Calgary, Alberta June 1-3 and Southeast Regional in Asheville, NC June 28-July 1). This IPFFNYC offering is planned to create an ongoing tradition and, for those spending summer in the city (or traveling to join), this event promises to beat the heat with puppetry. UNIMA-USA will be holding its annual Membership meeting (and streaming it live on our Facebook) at the venue on Friday, August 10 at 4pm (more information will be forthcoming). At noon on Saturday, August 11 (see final schedule), Members of the current UNIMA-USA Board will be presenting a panel discussing how puppetry and UNIMA-USA linkages can open a world of art, friendship, and collaboration. Karen Smith will discuss the World Encyclopedia of Puppetry Arts (WEPA) showing how it can alert you to the who, what, why, and where of puppets in places you might be heading. Kurt Hunter (Concordia University) will note how recent participation in UNIMA Festivals in France and Germany has fed his performance and teaching. Steven Kaplin (Chinese Theatre Works) will talk about going global with China. Kathy Foley (UC-Santa Cruz) will present on possibilities for learning and collaborating in Indonesia looking toward the 2020 Bali UNIMA World Puppetry Festival. Colette Searls (UM-Baltimore County) will present on training she did in Brussels and how it has impacted her creative work. We invite you all to join! Moran's Teatro SEA will present their award-winning and recently remounted/rebuilt production, Sueño: A Latino take on Shakespeare’s A Midsummer Night’s Dream, free for the community with its 25 actors, singers, dancers, and puppeteers. Teatro SEA’s “Latinized” version of this theatrical classic aims to spark interest in young and underserved audiences that do not ordinarily have the opportunity to see Shakespeare’s work. With 65 carnival puppets, stilt walkers, and masks including “Vejigantes and Cabezudos” (folkloric characters from Puerto Rico, used in festival celebrations), this production extends the presentations of Shakespeare’s work in Latin America (which dates back to the 1800s). It will allow Americans to see an adapted Latino version of the master’s play. The Clemente, Teatro Latea, and UNIMA’s Three Americas commission are venue partners. .
Share UNIMA-USA with Your Network! Everyone has a website these days. 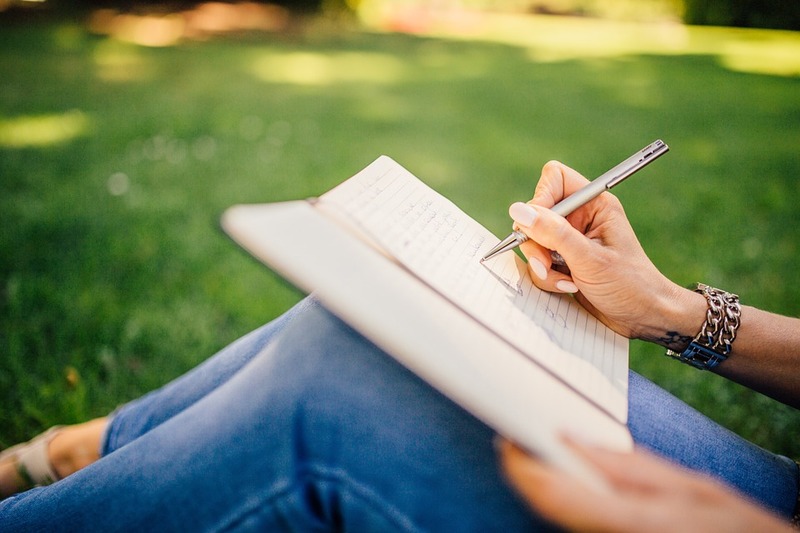 Whether it’s a personal website, a company website, or a blog, all websites provide a platform for connection. Since UNIMA-USA is all about connection—between puppeteers, scholars, fans, and audiences—we want to ask you to consider adding our logo and/or link to your website. Sharing UNIMA-USA with your digital network offers exposure to help us remain strong as an organization. It also shows that you are a vital member in a global community of like-minded individuals; that you strive to celebrate puppetry worldwide, all the time. You can share your favorite part of what makes UNIMA-USA special. Share a link to our Puppetry Yellow Pages resource guide, where your company is listed; to our Puppetry Calendar, where a festival you’re performing in is scheduled; to information about the UNIMA-USA Scholarship to study abroad; to your favorite issue in our Puppetry International index; and to the Citations of Excellence page, simply because you want to share the best in puppetry! Below is a logo you can display on your website, along with a brief description of UNIMA-USA you can copy and paste if you wish. Help us connect with your network. We’ll keep celebrating puppetry worldwide! The story of upstate New York rural towns is a common one: shuttered factories, missing millennials, and empty storefronts. Perry, situated roughly halfway between Buffalo and Rochester, changed this script when an influx of performing artists, dancers, and visual artists moved to town and started working there. One of these new artists chose Perry to host the first New York State Puppet Festival (NYSPF, June 14-24, 2018), a festival bringing world-renowned artists to perform, exhibit, and discuss puppetry with the public. This is the first time that this type of festival has been produced in upstate New York. Theatre artist Josh Rice is starting the NYSPF. Josh grew up in Perry and left after he graduated from high school to pursue theatre in college. At that time, in the early 2000s, there were not many job prospects back home for him. The artists participating in the NYSPF have made significant contributions to the puppetry field and are traveling from throughout the world to attend. Josh has worked with many of the artists featured in the festival, including Dan Hurlin, Koryu Nishikawa V, and Tom Lee, fulfilling his dream to bring his colleagues to present their work in his hometown. The Wyoming County Rural Arts Initiative, a policy initiative from the Wyoming County Industrial Development Agency, Wyoming County Chamber of Commerce and Tourism, and Arts Council for Wyoming County, also helped bring in an influx of artists. Josh was a recipient of a grant from this program, which offered funding to artists to start arts-based businesses in the community. He started his own storefront theatre, Theatre@37, on Main Street Perry, which will be the main performance venue for the New York State Puppet Festival. His neighbors include the Genesee Dance Theatre, a pre-professional dance company, the Arts Council for Wyoming County, and several visual artists who have studios in a former department store building. For more information about the New York State Puppet Festival, please visit www.newyorkstatepuppetfestival.org. Tickets, festival ticket packages, and a schedule of events will be announced on the website in May 2018. If you have any questions on tickets, please email nyspuppetfestival@gmail.com. The program is made possible with funds from the Decentralization Program, a regrant program of the New York State Council on the Arts with the support of Governor Andrew Cuomo and the New York State Legislature and administered by the Arts Council for Wyoming County. The Perry Main Street Association served as the fiscal sponsor for the NYSPF. As a puppeteer who does a lot of performances in schools, I’ve noticed distinct changes over the last ten years in the atmosphere associated with elementary school audiences. There are the obvious, disturbing, new-normal practices of background checks, fingerprinting, driver’s license name tag stickers, and being buzzed into the office. But I’ve also noticed less perceptible changes as well. Drew Allison. Photo by Debbie Page. This is a quirky one, but a certain one. School assemblies are less of a “happening” now than in the past. There are many attributable reasons for this, but the fact remains that often the office front line has no idea I’m coming, custodians rarely set up chairs for teachers, teachers often don’t open associated Study Guides and the obligatory pre-show fly-by from a school administrator is often a super brief, out-of-breath handshake as they hurry on to the next task that they’re late for in their overstuffed days. Teachers have traded in the practice of sometimes grading papers during a performance to sometimes being on their phones or other devices. I understand the pressure and duress teachers are under. However, our performances are often the first real theatre experience that students are a part of. As an adult, being on a device is not the right theatre etiquette message to send to your students. There have been changes in the students themselves as well. Most noticeably for me is the practice of verbalizing what they are seeing. Often, I’ll find points in a performance that in the past were quiet, listening moments have now morphed into the audience murmuring scene descriptions with unrestricted glee. A product of being flooded by so much visual content coming from a device in their hands, maybe? I’m not sure. On a more positive note, students’ perception and understanding of stories and theatre techniques has sharpened. Younger students have a comprehension and attention now that I did not see in the past. Sometimes I stand onstage and look out at the faces of my audience and wonder if they wonder if they’re going to be attacked today, if they’re going to be shot today. I wonder if they wonder if I’m going to attack them. These are thoughts I never imagined having. These are just a handful of the changes I have seen. But perhaps these can be a catalyst for discussion. If you perform in schools, have you seen similar things? Different ones? Or am I off-base with these observations? Watch the 2018 UNIMA Council Meeting Online! Starting Sunday, May 13, the 2018 UNIMA Council Meeting begins in Bochum, Germany at the 60th FIDENA Festival. For the first time ever, you can follow the Council Meeting live on the UNIMA Internationale Facebook. Materials for the meetings, including agenda, reports, motions, and more, are located here on the UNIMA website. Council Meeting activities will take place Monday, May 13 to Wednesday, May 16. Wary of the time difference? The live broadcasts should remain on UNIMA's Facebook to watch at your leisure (and in your time zone)! Thanks to UNIMA for offering this exciting look into the international workings of our organization! Starting here: Starting now! As an added benefit of your UNIMA-USA Membership, you can now access the current issue of Puppetry International on your phone, tablet or other connected device. Just go to the Current Member Portal on our website and enter the annual password. Members, be sure to check your email for the current portal password. At last! You can leave your printed magazine on the nightstand, or stored in your Acme Safe in pristine condition, and still have all those pithy articles with you on your Uber ride, in the café, or backstage at the next Puppet Slam. As long as there’s WiFi, PI is there! A big thank you to Editors Andrew and Bonnie Periale, Webmaster Donald Devet, Ads Liaison Honey Goodenough, and Publications Committee Chair Kurt Hunter (along with the rest of the UNIMA-USA staff and Board of Directors) for making Membership in UNIMA-USA more valuable than ever. Bonnie and Squirrel being mobbed by fans after a performance. I’ve just returned from Izmir, Turkey where I performed Squirrel Stole My Underpants at the 12th Annual Izmir Kukla Günleri – Izmir International Puppet Days. During the 18 days of the festival, 50 companies from 26 countries performed all over the city – at theaters, art centers, schools, shopping malls, refugee charities, and even on sidewalks. 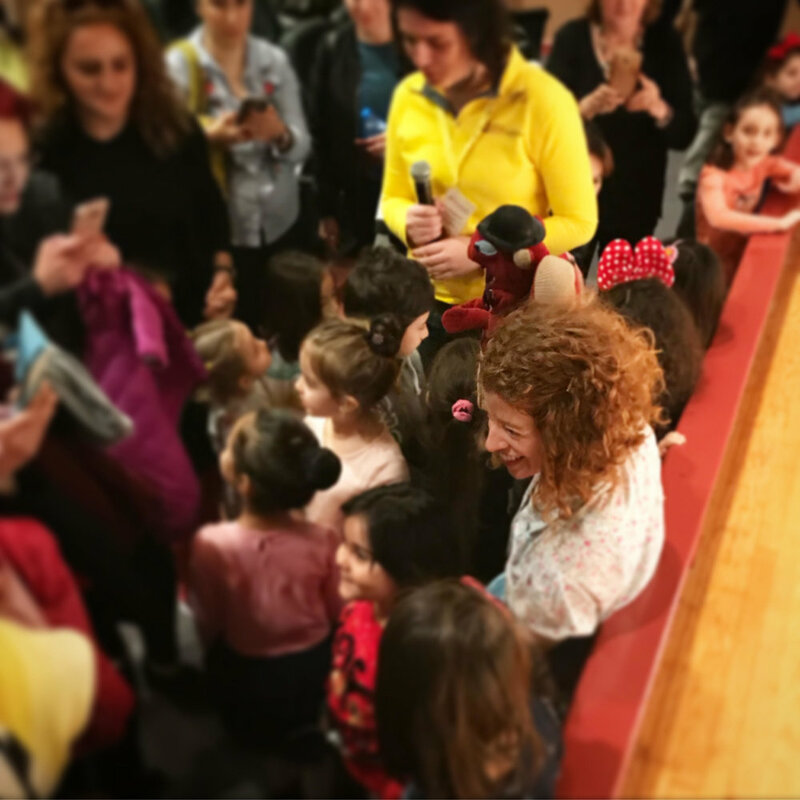 I performed Squirrel four times (with lights and sound run by my husband, Dan, who also directed the show) – twice for families who brought their children, and twice for hundreds of wonderfully raucous school groups who came by bus to the theater. After each show, I was mobbed by fans wanting to meet Squirrel. I felt like I was at home – sharing my own giddy, absurd delight in the world with both children and adults. Each evening, we’d return to the hotel for “Puppet Dinner Time.” Although this irresistibly conjured up images of tiny little tables with tiny little place settings, it was in fact a very simple concept: feed the guest artists at the hotel at the same time each day. This one simple act opened our adventure up in wonderful ways. We met puppeteers from the UK, Iceland, Switzerland, Germany, Spain, India, and Italy. We all shared tips on what to do, how to travel within the city, and how to get ourselves outside of it. We organized evenings out. We talked about contemporary puppet theater and our own approach to puppetry. We talked about what is happening in the world and in our own lives. It’s where we connected, communicating in multiple languages, with hugs and laughter and depth. Our conversations flowed both easily and with some jolts, ranging from: puppeteers we admire; EU and US politics; family dynamics and experiences; corporate ownership of beloved stories and music; experiences touring to Iran, Japan, Palestine, and elsewhere; how we all struggle to make a living and define success; how our shows or workshops went each day. I will admit that I was afraid of this trip – the US news is very quick to frighten us. I looked to others who have traveled to this festival and to Turkey in the last year for thoughtful insight and a boost of confidence. I am so glad I did. UNIMA-USA’s mission statement is to promote international understanding and friendship through the art of puppetry. In keeping with that mission, I want to encourage us all to seek out opportunities to perform outside of the US. I want to encourage us all to meet puppeteers from around the world and bring them to share their work in the US. Let’s share our love of puppet theater. Let’s work harder to soften the borders that feel as though they might close us off to the world out of fear. We are the perfect representatives of the US – we work hard and we do what we love. We try to make sense of the world using common materials transformed into exquisite moments and stories. We share the stuff of life together with a community of people we don’t know when the theater lights dim, but with whom we are connected by the end of the performance. Bonnie AND Dan with the many puppeteers they met in Izmir. The Film Society of Lincoln Center and Comeback Company announce The Puppet Master: The Complete Jiri Trnka, the first complete U.S. retrospective of the works of Czech animation master Jiri Trnka (1912-1969), April 20-25. Learn more at filmlinc.org. Alex Zucker; Martina Raclavska; Marketa Santrochova, Czech Film Center; Michal Bregant, Katerina Fojtova, Tomas Zurek, Michaela Mertova, Czech National Film Archive. Special thanks to the Czech Center New York. Interested in performing in Switzerland? The International Puppets Festival in Lugano is from October 13th - November 4th, 2018. The festival organizers are looking for children or family shows with little to no dialogue, or with Italian dialogue. Send your applications in to festival@palco.ch by April 30th! Deadline for proposal: April 1st, 2018. Click here to learn more about the festival! will be held from 20th to 27th of October 2018. - A short film still in development using puppet, object, or stop-motion. - Unusual proposals are also welcome! 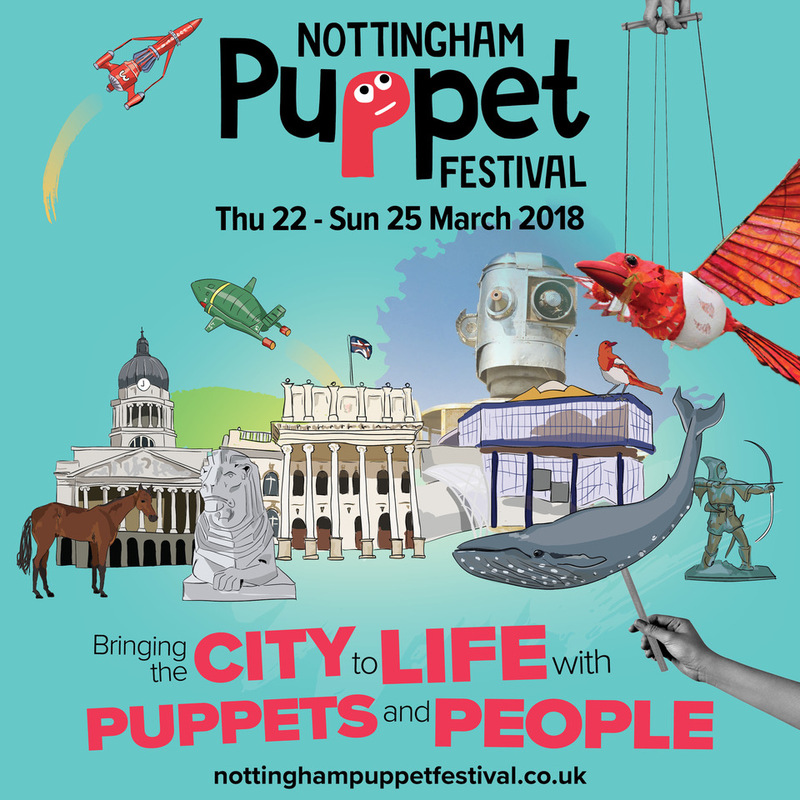 A first for Nottingham, the Puppet Festival is a celebration of the artistry of puppets and puppetry along with the communities that inspire the stories they tell. The Festival has been put together through a partnership between Theatre Royal & Royal Concert Hall Nottingham, City Arts and Nottingham Trent University and made possible thanks to funding from Arts Council England and additional support from Nottingham City Council, Nottingham UNESCO City of Literature and Midlands3Cities. Local, national and international artists, both upcoming and old-hands, will be bringing their talents and demonstrating their skills at locations across the city including the National Videogames Arcade, Nottingham Lakeside Arts, Broadway Cinema, Dance4 and the Malt Cross Caves as well as the partner venues. The mix of shows includes the multi award-winning National Theatre production of War Horse, late-night puppet cabaret, political satire, as well as the retelling of classic stories, and family fun which includes imagined trips into space, a talking mushroom and a menagerie of cardboard animals. The performances will run together with talks and workshops for both aspiring puppeteers and professional practitioners. Jamie Anderson, son of Thunderbirds creator Gerry Anderson and Spitting Image’s Pete Sinclair, Philip Pope and Steve Nallon - the voice of Mrs Thatcher - will be amongst those talking about the artform of puppetry and the many different roles it has to play. As well as bookable events, there will be lots of free events including Pinocchio Puppet-Making workshops, drop-in talks and a host of sights, sounds and fun at the Pop-Up Puppet Village which will make its home in the Old Market Square from the Friday to Sunday of the Festival, and the closing spectacle of the puppet parade. Apply for the 2019 Festival Mondial des Théâtres de Marionnettes! The 2019 registration form is now open. Click here to learn more! Want to perform at the 58th ICF in Croatia? Click here to learn more about this international festival and the application process! The festival lasts from June 16th- 30th, 2018. Applications are due February 1st, 2018. The first festival was held in 1958, the result of the initiative and efforts of several children arts enthusiast. During the years Festival has turned into a big complex multidisciplinary multimedial cultural event, which not only displays but invites participation actively. It is a review of the best works for children as well as of the best works by children.